Are You Quiting Too Soon on Your Online Marketing? I admit it. 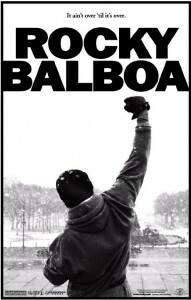 I’m big Rocky fan…not the later ones but the first one was killer. I loved it so much that I got a bootleg copy of the “Gonna Fly Now” soundtrack the and used it to time my morning runs in ROTC. Of course I was much younger and much more athletic then. But the whole concept of the little guy coming out of no-where to not only to compete against but to whip the current “world champion” was pure primial storytelling. 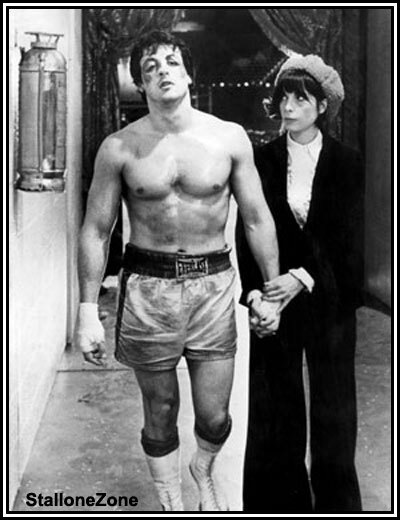 But I didn’t like the others so much so naturally I had my doubts about the last Rocky pix, “Rocky Balboa”. 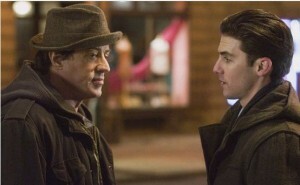 I was very reluctant to watch Stallone sleep-walk through another movie about this wonderful character. But the old man suprised me. “Rocky Balboa” was a decent good-bye for a true American movie hero-character. If you haven’t seen it on re-run TV yet or on DVD, the story is when Rocky Balboa comes out of retirement to step into the ring for the last time and face the current heavyweight champ Mason ‘The Line’ Dixon. Okay goofy character names aside the whole movie boils down into 2 pivotal sceens, one of which is between Rocky and his son. Rocky and his son get into a fight over Rocky’s return to the ring. The son thinks his father is nuts for wanting to box again not to mention feels that this fight will embrass him and hurt his climb up the corporate career ladder. Okay corny, yet oddly true for most of us… for example, recently I got a call from friend who said that a local author I knew was unhappy over his poor book sales. I had read the guy’s book and understood he was the mental health field and the book was a decent self-help book for people from abused backgrounds. At the time I thought it was cool that just that morning, I had received a promo email from an online guru who makes his living selling massive qualities of his business book to corporations as “marketing training materials”. Since I had taken one of this guru’s online classes before, I figured it was fated, yeah? So excitedly I forwarded the email to the local author. The email explained how the book selling guru was offering a FREE webinar and how I thought it could help him sell more of his own books. The local author called me the next day or so and said that he couldn’t do business with me right now. It seems he had struggled for years and had finally got his book placed in one of the “BIG” bookstore chains only to find out that his book – a collection of his life’s work as a counselor and personal coach had finally been put back in the dusty corners of the bookstore chain’s “discount” section! He was so frustrated that he said he was more or less giving up on marketing his self-published book because of this. I reminded him the class was free and told him if he could just sell a couple hundred copies of his book in bulk to just a handful of therapy centers he could maybe make an extra thousand a month in sales. He was NOT open to that suggestion and I got the definite feeling he was getting a tad pissed, so I quickly ended the call before things got nasty. But I’m writing this article because I’m still upset — no not at the local author but FOR him! I feel bad that he has spend over 2 years of his life writing and struggling to get his book “out to there” in the marketplace only to give up on his dream at the seemingly first hard hit on his way to success. Yes, I know it might be the best thing for him at this point, but when was the last time getting beat down did anyone any good? Life will come out swinging and you will get hit, and hit hard but like the movie says can you get hit and keep moving forward? Now I’m not talking about beating your head uselessly against a brick wall… but I’m not talking about giving up and throwing in the towel in the first round either. Making mistakes can be a good learning experience! I know from personal experience that this is really true. My author acquaintance mistakenly thought that if he could just get his book distributed by one of the major bookstores that it would “auto-magically” become a bestseller and then he would be on his way to bestseller success. As he found out this was not true. The world is indeed a mean and nasty place sometimes. But instead of sucking it up and getting back on his feet and testing out some new and different ways to market and promote his book – just he gave up. He never once tried any of the free marketing ideas I told him about in the past. I had sent him emails before about using online forums to market and promote both him and his book. Heck, I even made a video showing him how to do it. Check it out here if you are interested >> “How to Use Online Forums for Visibility”. But nope he couldn’t do it – he was too busy off marketing in the traditional ways that take up a lot of time and money. Yes, I understand in the past such traditional marketing and promotional strategies worked well for many types of organizations, not just book authors. But over time this poor guy worn himself out traveling back and forth for face-to-face meetings, book-signings, trade shows and speaking events to build up his reputation and visibility. I guess finding out his book was being placed in the discount bin was the last straw and it broke him down so bad, that he felt giving up his dream was his only choice. But you don’t have to let getting hit and knocked down, completely overwhelm you. Here are some things you can do to avoid being TKO’s when you eventually “fail” on your way to winning. Now if the author I have been talking about only wanted to be a bestseller on the New York Times list, then okay he did indeed fail big-time. But what if he really only wanted to sell enough copies of his books to make some extra income or build his reputation as a lifecoach? Okay those two goals are very different from the first one, yet are very doable using easy and inexpensive online marketing tools, he could have learned about from me or somewhere else online. Don’t listen to the “Why Not’s” or the “It Can’t Be Done Here’s”. There will always be naysayers, cynics and pessimists disguised as “realists”. If the people with the advice have done what you want to do then listen to their insights and advice – but do your due dillegene and use your common sense about what they tell you. On the other hand if the people with advice have NOT done what you want to do, feel free to ignore them. People often say you can’t do such a thing because they can’t imagine THEM doing it either. So their advice is not a true picture of your skills, ability to learn new things, or your “mule-headed” persistance in the face of overwhelming odds. Think about this – would you listen to me if I told you how to perform brain surgery on your child? Ok, so why listen to well-meaning but misguided friends, relatives and associates about how to market your products or services online? Would you listen to me if I tell you all about online and internet marketing really works and how to use it to grow your business? What…WELL YOU SHOULD! But only because I make my living using web tools to market and promote both my own websites and those of clients, not because you might like me or not. While what I teach, which is how to use web technology tools for business, does works for me or my clients – not all tools might work for you or your organzation. For example, I like using videos and slideshows now to market and attract attention to my blog. I also like writing long-long blog posts. This is not for everybody. Sometimes it’s a skill thing or a software issue or a personality mismatch like a fear of public speaking or writing. But no matter what your current marketing skill-level might be, you have to pick your battles and focus on a single online marketing technique that plays to your natural strengths. I’m an introvert, so going to face-to-face meetings with offline clients is both a painful and stomach-churing experience for me. On the other hand messing around web video technlogy is fun (all off-screen stuff of course – no “talking heads” for me). But if you like having your picture taken and no has ever called you “bashful”, a 1-2 minute “talking head” video shot with an inexpensive camera will seem like child’s play for you. The same goes, if you like writing short pieces several times a day for friends and family then micro-blogging, Facebook and Twitter seem natural to you. So learn what has been proven to work THEN rework that to fit your personaliy, lifestyle, skill-set and business goals. By finding out all about the various “How-To’s” of a process and focusing on the ones that seem like a good fit, you will eventually find one that works best for you and your business – If you don’t give up too soon!